Tourists flock to Cades Cove in the Great Smoky Mountains National Park. They come to see old houses, old mills, the wooden tools of the past and the peculiar folkways of the Tennessee mountain people. The Smokies are among the highest mountains in the East — their tallest peak is Clingman’s Dome, at 6,643 feet — but they aren’t a neatly organized range of peaks like the Tetons. Instead, they are a maze of headlands and coves, forks and ridges. And also unlike most Western mountains, they have been thoroughly lived in. At the bottom of every valley — which are locally called ”coves” — you can find either a farm or the remnant of one. 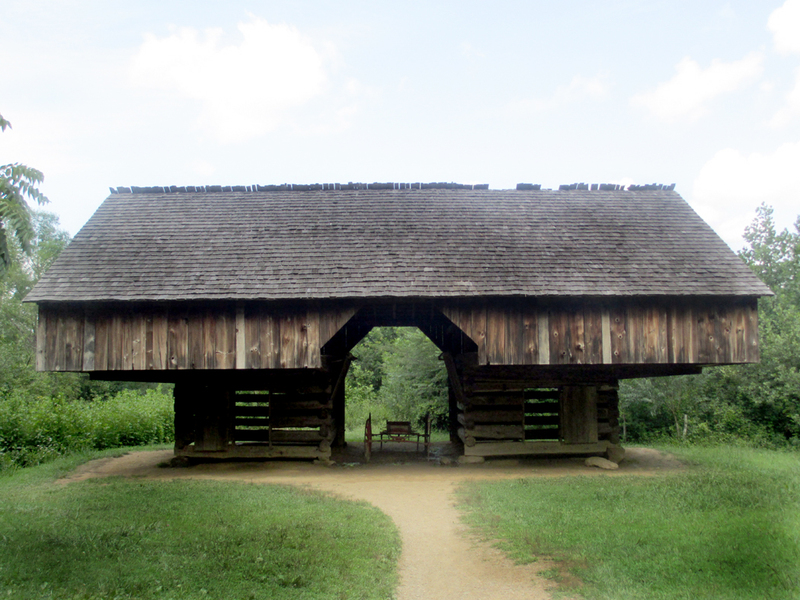 Cades Cove is particularly attractive, for it is a broad valley surrounded by darkly treed hills. It is rare to find a valley this wide and flat in the Southern Appalachians. And it was an attractive place for settlers to build and raise families. 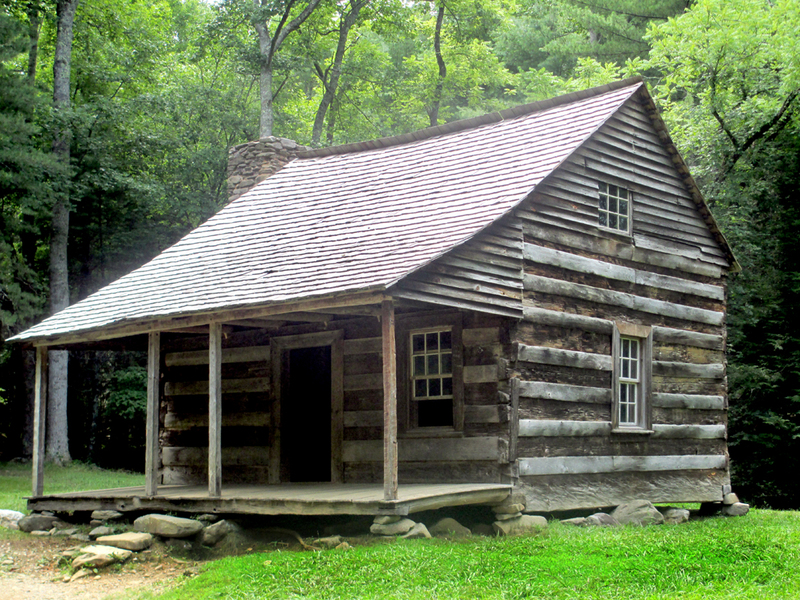 So Cades Cove began its existence as a community in 1819, when the first settlers moved in. By midcentury, there were about 685 people living in 137 households. The 5- by 2-mile cove now seems remote. To get there you have to drive 10 miles from the nearest town, or about 20 miles from the Sugarland Visitors Center down narrow, winding, crowded roads. If it is midsummer, you can expect to average 20 mph at best, although it will be frequent stopping and starting around congested areas where vacationers are tubing down Abrams Creek and the Little River. It seems remote, but when it was a thriving community, it was no more remote than most like it in the mountains. It was not considered unusual to take three days for a shopping trip to Tuckaleechee to bring back the salt and sugar that you needed to go along with the produce you grew and the animals you raised. Cades Cove got telephones and electricity about the same time as other communities in eastern Tennessee. It was not any place special. 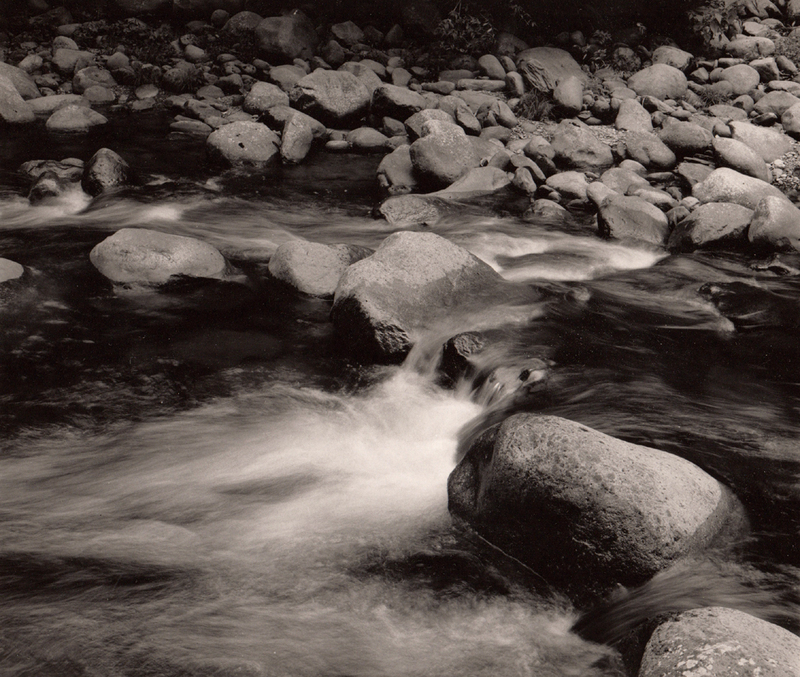 But when the national park was created in 1934, Cades Cove was chalked off for abandonment. Most private properties were bought up; the remaining ones were bought up giving their residents lifelong leases. By the 1960s, all the residents were gone. I feel an odd sensation driving the 11-mile loop trail through the Cove following a caravan of tourists. For most of them, the log cabins and weathered corn cribs must look like something from hillbilly mythology. I’m sure most of them think of the Cove’s late residents as backward and misbegotten. They see the rough-hewn beams and the sorghum mill with its long pole for the mule to pull in a circle. They see the potbellied stoves and the rope beds and think the residents must be something out of a time machine, some forgotten remnant of the 19th century. But it is different for me and my wife. Her folks came from these mountains and we once lived there together. She made corn-husk dolls as a girl, she cooked on a wood stove as an adult — and not all that long ago. For the Southern mountain life has not disappeared. It is everywhere out there in the hills of eastern Tennessee and western North Carolina. It is a shame to see the log houses and cantilever barns presented as museum pieces. You can see dozens more like them, with people living in them and using them, all through Buncombe, Ashe, Watauga and Mitchell counties. 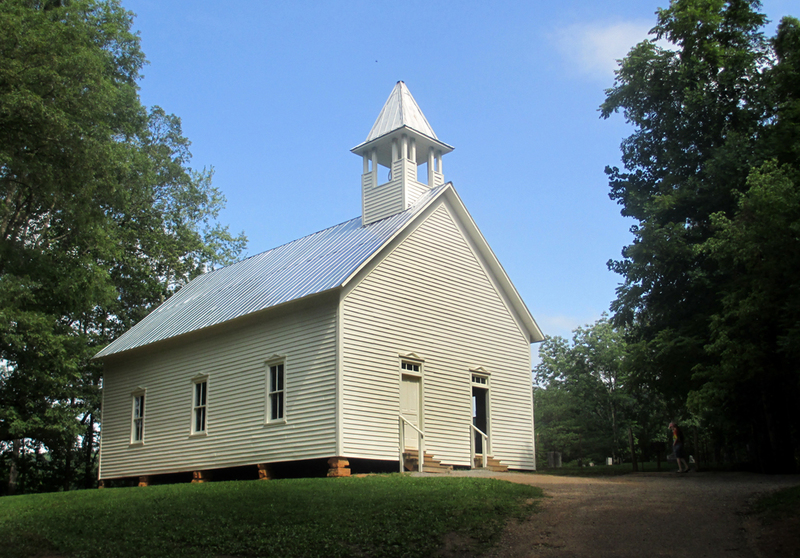 We stopped at the Primitive Baptist Church in Cades Cove, where a wiry, wizened old Southern man stood at the pulpit, reading through the Bible that rested on the lectern. He could have been the lean, sinewed type of farmer that used to work the fields here. But he was a visitor. He’d been here before and seemed proud that the Bible that he’d seen on his last trip was still there, unmolested by the tourists. ”Hit’s been there three years now and none the worse for wear,” he said. He also pointed at a box of a single layer of bricks on the floor in the middle of the room and said, ” ‘At’s where the stove use ter be, you can see the flashin’ for the stovepipe in the ceiling.” He obviously knew the church, or churches like it. For you still can find them, whitewashed clapboard, warped foundations, unfinished floors and stiff pews, in scores of community churches throughout the region. And that is the most peculiar part of Cades Cove. It is presented as a kind of museum. But you can attend a service at a church not one board different from its exhibit, an active congregation of the same leather-faced, hard-farming people. They still grow apples, they still grind corn. They still slaughter hogs and make sausage. They still singe off the pinfeathers of a chicken that they are going to fry for dinner. They still make apple butter, still put up fruits and vegetables. They still make half-moon pies from biscuit dough and dried fruit. 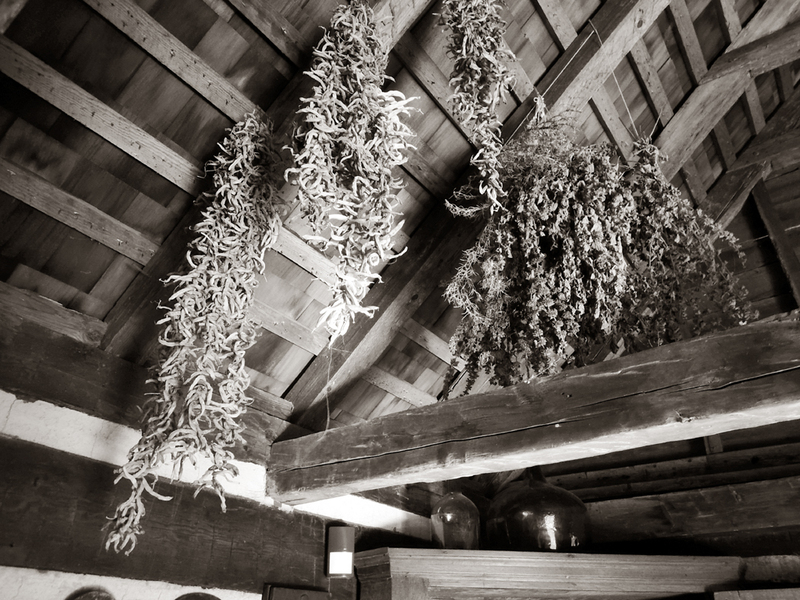 They still make ”leather britches” — the dried green beans threaded together on a string. Many a home still has a springhouse where milk is kept cold in the running water. They still make hay from the grass in the bottom lands and keep hives of honeybees. 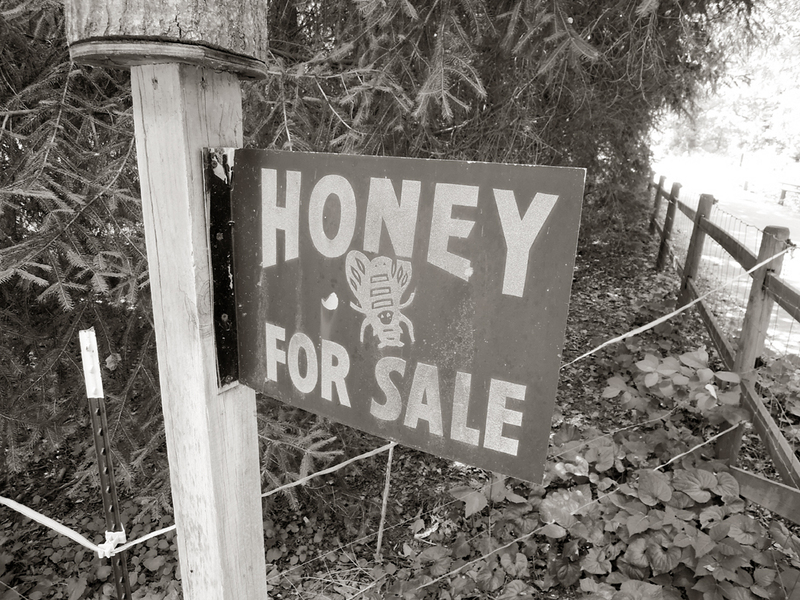 These things are not quaint customs of the past, but a way of life. Sure, the log cabin very well may have a satellite dish on its roof, and the mule has given way to a John Deere. But what is important is not the remoteness of history, but its continuity.